March 2013, Issue 131 | Samuel Shapiro & Company, Inc.
As previously featured in “Shap” Talk, Samuel Shapiro & Company, Inc. has been sharing with you the names of employees who have been recognized for their exceptional efforts and contributions to our Company. At Shapiro, we continually work to develop, challenge, and inspire all of our employees to grow individually and with the Company. This month, we would like to recognize Tamara Colgan, Account Specialist in Philadelphia, for her outstanding performance and contributions. Samuel Shapiro & Company, Inc. recently announced the promotion of Robert Burdette to Vice President of Strategic Development at its headquarters in Baltimore, MD. 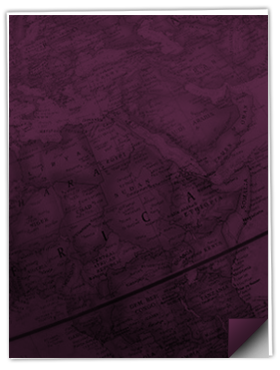 A graduate of the University of Virginia, Burdette began his career with Customs broker K.C. Burdette and Company in New York. During this time, he completed transportation coursework with certificates in export, air cargo, and Customs brokerage from the World Trade Institute. He then joined Fritz Companies as Regional Export Gateway Manager in Charlotte, NC, and Atlanta, GA, and completed graduate courses in finance from the University of North Carolina. Burdette joined Shapiro in 1999 as Regional Director of Sales, and currently oversees the company’s Sales, Marketing, Pricing, and Global Supply Chain teams. His primary responsibilities include designing business growth strategy and the diversification of the firm’s business portfolio, as well as the development of new products and trade lanes in collaboration with Shapiro’s senior transportation leadership. In each role, he continues to provide his invaluable perspective both operationally and strategically. Samuel Shapiro & Company, Inc. recently created a Humanitarian Services Program in order to expand its support of charitable institutions with logistical needs. The program encourages international relief organizations to contact Shapiro for help with transportation and Customs services. Delivery of donated goods is frequently problematic since locations in need of relief often have weak infrastructure, which results in difficult logistical issues. The Humanitarian Services Program will use Shapiro’s well-known and respected industry connections to secure low cost services with partnering agents, steamship lines, and truckers. The pioneer shipment of the Humanitarian Services Program came from Word of Life Fellowship, an international ministry focused on youth that sponsors activities such as camps and conferences, Bible Institutes and Bible Club programs. Word of Life is a non-profit organization whose financial resources are supplied by voluntary donations from individuals, churches, and businesses. Recently, Madrid Engineering Group, Inc. (MEG), in tandem with Greenovative Homes, LLC, donated their GreenStar hyper-insulation panels to be installed in the World of Life’s dining hall in Honduras, which is known to reach unbearable heat levels during the summer months. The patent-pending product, developed by Larry Madrid, Paul White, and Bill Mutz, effectively reduces heat entry into a building and saves on cooling costs. The joint donation covers all manufacturing as well as transportation charges, including final delivery to the Honduran mission. For more information on Word of Life Fellowship visit the website. For more information on GreenStar panels visit the website. The switch from over-the-road freight to domestic intermodal is expected to increase. Railroads have become more eye-catching with the improvement of the service and shorter routes. Railroad companies are investing large amounts of money to take business away from traditional motor carriers for domestic moves. They are focusing the southeastern Crescent corridor of the U.S. where there is a lot of cargo traffic, as well as on the west coast port areas to major inland cities like Salt Lake City and Phoenix. Even though U.S. domestic rail service continues to improve, it lacks in certain areas compared to regular trucking. There are more city pairs and connections by road than by rail. Transit times vary with rail and are usually longer than trucking. Lastly there is little flexibility on pricing which may push customers away from rail and to trucking. Despite these minor setbacks, rail remains about 10% cheaper than trucking, and in the near future there will be more spot rating than set rates. United Cargo is happy to announce they are now allowed to carry materials and substances classified as dangerous goods on all United Airlines flights originating in China. United serves Beijing and Shanghai airports with daily widebody service to and from hubs in Chicago, Los Angeles, New York, Newark, and San Francisco. This approval was granted to United by the People’s Republic of China regulatory agencies, which is no easy feat! Dangerous goods are also allowed on United Airlines flights between Hong Kong and hubs in Chicago, New York, Newark, and San Francisco. Etihad Airlines is excited to announce there will be a new direct daily flight, EY 130 from Washington’s Dulles Airport (IAD) to Abu Dhabi, UAE (AUH). This will be effective March 31, 2013. 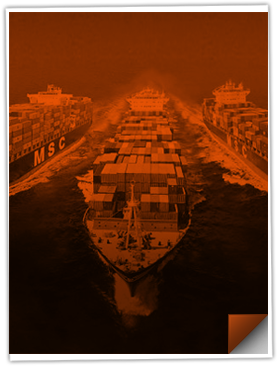 Hapag Lloyd has started the trend for the transatlantic general rate increase (GRI) between North America and Europe effective April 1, 2013. Several other carriers in the trade have announced similar GRIs. Please contact your Shapiro representative for details as effective date and GRI levels vary per carrier. According to Freight Watch International, cargo in 2012 continued to get stolen but did not surpass the record breaking year of 2011. The most common cargo stolen is meat, poultry and seafood. In 2011 there were a reported 47 meat thefts, while 2012 had 45. The theft rate for meat is reflected by the rising price of meat in 2012. As the price for feed grain for livestock increases so does the price of their meat. These trends are expected to continue uphill into 2013. There were 940 cargo thefts reported in the United States in 2012, which is about half a percent lower than the record set in 2011. 176 of the total reported thefts have been food or drink related, making this the most stolen product group since 2010. If this trend continues then the food industry will need to put in additional safety measures to deter thieves. The pharmaceutical industry used to be at the forefront of cargo theft, but the rate for this industry drastically declined with the implementation of industry safeguards and procedures. With new processes in place such as additional employee training and tracking systems, it has become more difficult to steal prescription drugs. Now the pharmaceutical industry has the lowest rate of theft related incidents. Cargo insurance is always recommended for clients who ship internationally, and foodstuffs are particularly at risk as the theft rate continues to increase. Please contact your Shapiro representative for a competitive insurance quote. Sometimes you just need to squeeze a couple more pallets into your 20 foot container. UK-based container design firm, Container Group Technology, has revealed they have designed a new 20 foot container called a 20-20 SeaCell container that contains up to 36 percent more pallet space. This translates to as much as 4 more Euro-pallets than the current standard ISO 20 foot container. The design increases the width of a container to 7 feet 11 inches instead of the current 7 feet 7.75 inches. The length would be increased to a full 20 feet instead of the current 19 feet 10.5 inches. Two 20-20 SeaCell containers will be able to carry six more Euro-pallets than a traditional 40-footer. There is no word yet on when production will begin employing this new design. Even though a labor strike was averted because of the agreement of a new six-year master contract for the East and Gulf Coast ports, this agreement was contingent upon the settlement of additional local contracts and ratification by both sides. Originally there was a “soft” deadline of March 1 set by both sides to cover port-specific issues. Several ports have completed their negotiations covering their work rules, pensions, and other port related issues. The remaining ports are close to making agreements with one notable exception – New York-New Jersey. The New York Shipping Association (NYSA) is hoping to change what it is calling “antiquated” work rules and staffing requirements. The ILA and NYSA have been meeting frequently to discuss possible solutions. They have already planned three days of intensive bargaining and hope to reach a deal on work rules and staffing by March 8. Failure to reach a deal could jeopardize the required ratification and could renew the threat of labor disruptions. The Republic of Albania has become the 72nd country to effectively implement the international ATA Carnet system that allows for the temporary duty and tax-free export or import goods for up to one year. ATA Carnets remove the need for exporters to provide customs authorities with the otherwise necessary guarantees required for goods to cross borders. Operating like passports for goods, over 160,000 ATA Carnets with a total value of $20 billion are issued worldwide every year. From computers to prehistoric relics, carnets cover all kinds of merchandise including commercial samples, professional equipment, and goods for trade fairs and exhibitions. The ATA carnet system, administered by the Brussels-based World Customs Organization and the ICC World Chambers Federation (WCF), facilitates international trade and provides companies with a cost effective tool to reach new markets for their products. The chain comprises chambers and business organizations that have been appointed by their national customs authority to issue and guarantee carnets. A list of the current carnet countries can be found on the United States Council for International Business (USCIB) website. Coming soon to be a part of the carnet system is Brazil…stay tuned! U.S. Customs and Border Protection (CBP) has issued its year-end report for fiscal year 2012. CBP processed $2.38 trillion in trade, a five percent increase over FY 2011, and the highest annual import value figure to date. Revenues increased by 6 percent to a record $39.4 billion with duties accounting for $31.2 billion. Entry summary volume increased three percent over 2011 to 30.4 million. Container traffic was up four percent to 25 million cargo containers. Ocean shipments made up 24% of entries, air 37%, truck 33%, rail 5%, and fixed transport (e.g., pipeline) 1%. By value, ocean shipments comprise 39%, with air at 24%, truck at 16%, rail at 5%, and fixed transport at 16%. The leading imported commodity group was mineral products in chapter 27 of the Harmonized Tariff, accounting for 17 percent of all imports by value, followed by machinery and mechanical equipment of HTS chapter 84 at 14 percent. China was the top trading partner for imports into the U.S., followed by Canada, Mexico, Japan, and Germany. 53 percent of imports came from these five countries. Customs conducted 23,000 seizures of goods that violated intellectual property rights, with a total retail value of $1.2 billion, a 14 percent increase over FY 2011. Agriculture specialists conducted more than 1.6 million interceptions of prohibited plant materials, meat, and animal byproducts at ports of entry while also stopping nearly 174,000 potentially dangerous pests. U.S. Deputy Secretary of Commerce Rebecca Blank issued a statement on February 8, 2012 announcing that U.S. goods and services exports reached an all-time record in 2012, totaling $2.2 trillion. Export records were set across the board, including: capital goods; automotive vehicles, parts, and engines; consumer goods; and travel and tourism. This announcement follows the release of the 2012 U.S. International Trade in Goods and Services data by the Commerce Department’s Census Bureau and Bureau of Economic Analysis. Country and Region Spotlights: The United States reached record levels of exports for 2012 with more than 70 trading partners, including major emerging markets and 11 free trade agreement partners. and the International Trade Administration export Fact Sheet released on 2/8/13 here. On January 31, 2013, the United States and the European Union completed implementation of the mutual recognition arrangement for their respective supply chain security programs. The Customs-Trade Partnership Against Terrorism (C-TPAT) program is now considered the security program equivalent of Europe’s Authorized Economic Operator (AEO) program, and vice versa. Members of one program receive reciprocal benefits when exporting to the other region. Exports by C-TPAT certified importers to the EU will be considered secure and the shipments will receive a lower risk score by Customs in the EU member states. Only C-TPAT members with Tier II and Tier III status will receive the lower risk assessment score when exporting to the EU. U.S. Customs will now recognize shipments from AEO companies as secure shipments with a lower targeting score in the Automated Targeting System, whether or not the shipment is being imported by a C-TPAT member. The shipment will be identified as coming from an AEO company based on the reported manufacturer ID number. C-TPAT will recognize and accept the status of an AEO company in the EU as part of the overall validation process. No foreign validation visit will be needed as part of a validation or revalidation of a C-TPAT member if the foreign facility is AEO certified. Additionally, President Obama announced in this year’s State of the Union address that the U.S. and EU have launched negotiations on a Transatlantic Trade and Investment Partnership. The U.S. and EU will each initiate internal procedures to commence this process towards a free trade agreement. The U.S. and EU represent the largest trading partners in the world, accounting for half of global economic outport and nearly 1 trillion dollars in goods and services trade. It’s not too early to start planning for the next expiration of the Generalized System of Preferences (GSP) program. Although GSP was just renewed in the fall of 2011, the program will expire again on July 31, 2013. With budget cuts looming in Washington, Congress may be reluctant to renew a program that saved importers $750 million in 2012. The U.S. Census Bureau issued its last edition of the AES Newsletter on March 1, 2013. Census explained that it wants to provide industry with access to the most up-to-date information, so it will now utilize the Foreign Trade Division Global Reach Blog to disseminate news. The Food and Drug Administration has stated that a “significant” number of food facility registrations were not completed by the January 31, 2013 deadline. Under the Food Safety Modernization Act, facilities that manufacture, process, pack or hold food were required to renew their registration during the period from October 22, 2012 through January 31, 2013. Imported food shipments from facilities without valid registrations may be held at the port or refused admission into the United States. Customs will return error messages for missing registrations, registrations not on file (that is, the number is not and has never been on file), registration mismatches (when there is a mismatch between the registration number and the name of the firm transmitted as the manufacturer), invalidated registrations, and cancelled registrations. Registrations that have not been renewed will be invalidated by FDA shortly. The renewal period closed on January 31, 2013. Therefore, facilities that did not file for renewal will need to file for a new registration number. Automatic government budget cuts became effective under the Sequestration Transparency Act of 2012 on March 1, 2013. These reductions will impact Customs and Border Protection (CBP) operations and, consequently, affect trade flow. It is likely that many CBP employees will face furloughs starting in mid-April. In addition, overtime will be cut immediately, contributing to cargo release and examination delays for both import and export, as well as delays in arriving vessels. Cargo exam delays could be up to five days or more. Processing time for TSA screening at airports will increase. Waiting time at the border is expected to double. CBP advised that it will utilize a risk-based approach to cargo and passenger processing, relying on C-TPAT and other intelligence. Cargo security will remain a top priority with Customs; public safety will not be compromised. Administrative initiatives, such as Automated Commercial Environment (ACE), will be put on hold. Binding rulings and post entry actions such as protests and PEA’s will take longer to process. Sequestration may also delay the opening of the planned Centers of Excellence and Expertise. FDA does not anticipate having to furlough employees. FDA states the sequestration effects will not be felt for a while, but cuts could mean fewer food safety inspections. The Animal and Plant Health and Inspection Service (APHIS) of the U.S. Department of Agriculture stated they are unlikely to furlough employees as the service has a number of vacancies. Agriculture inspections at the ports are not expected to be delayed. Cuts will also affect the Federal Aviation Administration, which means air cargo carriers will be impacted. The FAA is planning to eliminate midnight shifts for air traffic controllers. Courier companies such as FedEx and UPS have most of their flights at night and could face delays in deliveries. Protection website at www.cbp.gov for information on the impact of sequestration on CBP operations. In a recent report the Department of Homeland Security’s (DHS) Office of the Inspector General (OIG) has identified that improved centralization and coordination is required between Customs and Border Protection (CBP) and the Domestic Nuclear Detection Office (DNDO) in relation to screening containerized cargo for radiation. There are currently 444 portal monitors being utilized for screening in twenty two seaports with the largest container volumes, which meets the requirement under the Security and Accountability for Every (SAFE) Port Act of 2006. However the report identifies certain issues which hinder the program and optimal utilization of the monitors. Some monitors are being used infrequently or not at all. CBP reviews monthly utilization reports, but the reports are not being used to make deployment decisions or how the monitors should be used efficiently and under what circumstances. CBP does not evaluate changes to seaport environments to be able to relocate monitors to other ports as necessary. CBP and the DNDO don’t coordinate or centrally manage the monitor program to ensure efficient operations. CBP and the DNDO don’t efficiently track inventory of the monitors. Identify a single responsible office to implement, coordinate, and manage the monitor program to utilize, relocate, and maintain monitor inventory to ensure the best use of resources and the continuation of screening taking into consideration the lack of funding for new monitors and the limited life span for current monitors which is ten years. 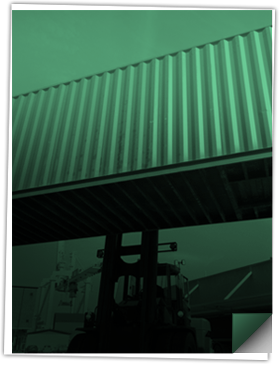 Track and report scanner utilizations at the seaports to best utilize underused equipment including relocation of that equipment to better suit needs. Develop a collaborative process to ensure that relocation is planned and implemented to meet security needs. Both CBP and the DNDO agreed with the OIG’s recommendations and plan to fully implement their suggestions by January 2014, and September 2013, respectively. The OIG report can be viewed in its entirety here. At the International Consumer Product Health and Safety Organization’s annual meeting and training symposium held February 27th, the Consumer Product Safety Commission (CPSC) stated that many entry issues that cause delays or inspections can be avoided by providing correct entry documentation. The product is a priority targeted item by the CPSC compliance office. Ensuring compliance with terms of a consent order. The incorrect filing of a manufacturer ID number on entry documentation. Repetitive use of a foreign supplier or manufacturer that has been found to be in violation previously. Become a participating member of the Importer Self Assessment Product SafetyProgram (ISAPS). The program looks at a company’s internal controls and provides for expedited testing, conditional release of products under exam, acts as a mitigating factor in civil penalty actions, and allows participating importers to be viewed as low risk partners. To join, participants must be current members of the Customs-Trade Partnership Against Terrorism (C-TPAT) and the Importer Self Assessment (ISA) programs. Make sure your third party tester is accredited. Make sure that testing certificates are readily available for submission and review whether included with product’s packaging or in possession of the Customs broker. A current proposal may also allow electronic filing of certificates in the near future. Make sure to include product details on commercial invoices.Make sure products are classified correctly on the entry. Incorrect tariff classifications will result in issues with both CBP and the CPSC. The CPSC has also starting implementing new compliance inspections, although they are not considered enforcement related. The goal is to eliminate future enforcement actions with companies based on providing regulatory information and guidance to importers. The CPSC states that the inspections are to be used with companies without a history of import exams and/or limited compliance violations.